– 60-year-old 2:42:42 marathoner Brian Pilcher talking about his frustration that he couldn’t hold himself back in the early stages of the Chicago Marathon. He set four age-group American records at half-marathon, 25K, 30K and the marathon, but missed his goal of the 2:36:30 world record. Official third Presidential debate thread. Who's with me? Sign me up for NCAA XC at Chambers Bay on Puget Sound in Washington. Race Soon, how do I hang with the big boys? My child does not get dizzy. Period. Is this useful? Recommended Read: Q&A With 60-Year-Old 2:42 Marathoner Brian Pilcher Who Set 4 American Age-Group Records In Chicago Pilcher talks about how poor pacing at Chicago cost him because he couldn’t hold himself back. Some other interesting insights like 80 miles a week on an ElliptiGO, being coach by Olympian Magda Boulet and prolific racing. Interesting “Did You Know” Interview With Olympic 800 Silver Medalist Nijel Amos Amos used to play volleyball, is a party-time DJ and has a bizarre pre-race ritual he does as he leaves his hotel room. Good Read: Phoebe Wright: “Max Siegel Makes Me Mad, But He Isn’t The Problem With USATF” Wright rips USATF for the distribution of income which hardly any athletes see and explains that “the middle class doesn’t exist” in US track and field. UK’s Eilish McColgan Shares Her Top XC Tips Train on tough terrain, throw away the watch and bring toilet paper. 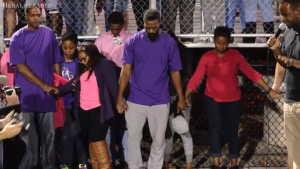 Friends of Tyson Gay’s daughter reveal she was very close with one of the men arrested in her death After her death he tweeted, ‘I love you Trinity,’ and other tweets suggest they might have planned on getting married to each other. 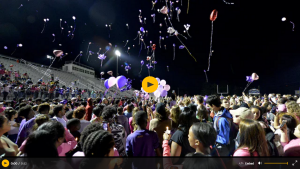 Fourth Man Charged In Death Of Tyson Gay’s Daughter The three men previously arrested have pleaded not guilty and have an October 25th court date. Paris Marathon Champion Cyprian Kotut Added To Field For Next Sunday’s Frankfurt Marathon He will face Tadese Tola and Mark Korir. World half champ Peres Jepchirchir withdrew from the women’s race citing lack of fitness. Ed Whitlock Says That Just After The Halfway Point In His Record Breaking Marathon He Thought It “Was Going To Be An Absolute Disaster” Whitlock ran in 15-year-old running shoes to shatter the 85-89 age group record with 3:56:33. 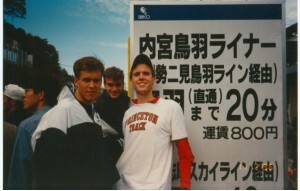 *MB: ED WHITLOCK 3:56:33 WORLD RECORD MARATHON M85-89. PLEASE STOP IT. 60-Year-Old Brian Pilcher Broke Four American Masters Records At The Chicago Marathon Pilcher took the half, 25K, 30K and marathon records. One of the records to go down actually belonged to LRC’s Employee 1.1‘s late uncle, Patrick Devine. 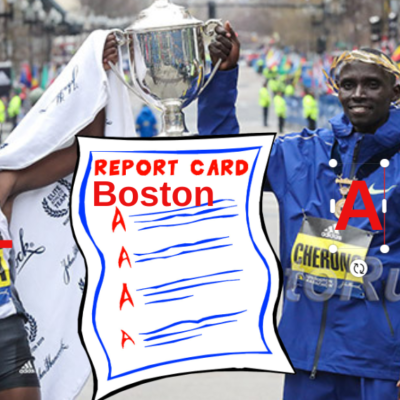 Portland Marathoners Upset By Race Organizer’s Response To Course Error A missed turn thwarted many potential Boston qualifying attempts, but the “event” director (who emphasizes that he considers it an “event” and not a “race”) initially downplayed the mistake. Rio 2016 U.S. Olympic Marathon Team Invited To Serve As Grand Marshals For TCS New York City Marathon On Sunday, November 6 Galen Rupp won’t be attending due to family commitments. Who Was The Best In 2016? IAAF Announces Nominees For 2016 World Athlete Of The Year Ashton Eaton, Keni Harrison and Christian Taylor were the only Americans to make the cut. Breakdown Of Men’s Nominees Usain Bolt completing the triple-triple and Wayde van Niekerk‘s WR gold medal run will be hard to beat. Thomas Bach Confident About “Significant Reduction” In Tokyo 2020 Costs After Meeting With Tokyo Governor They apparently figured out a way to save almost $2 billion, but when predictions were saying costs could reach $30 billion, that still doesn’t sound too great. LRC No. 4 Oregon Men & No. 2 Colorado Women Deliver As Edward Cheserek (23:34) And Erin Finn (19:44) Dominate At 2016 Pre-Nats The Oregon men scored 85 to runner-up No. 5 Arkansas’ 110, while the Colorado women (93) easily held off No. 9 Oregon, 93-154. Cheserek won by 21.4 seconds while Finn won by 23.7. LRC No. 4 Washington Women Win 2016 Nuttycombe Wisconsin Invitational As Boise State’s Brenna Peloquin (20:00) Pulls Away To Win Individual Crown Boise State’s Brenna Peloquin came into the year as the #2 runner on her team – now she’s the NCAA favorite. #1 Providence certainly isn’t the favorite any more as they are missing a few studs. Great News Jamie Nieto Now Walking With A Walker He was paralyzed doing a backflip in practice in April. Alysia Montano Does Q&A With USADA About Having To Compete Against Russian Dopers Montano talks about being wronged by dopers and what’s motivated her to continue competing clean. After Comeback Victory In Chicago, Abel Kirui Wants To Make History At London 2017 By Becoming The First To Win Three World Marathon Titles Kirui has slipped from being the 6th fastest marathoner of all time to 33rd on the world all-time list, but has shown he is still a force in non-paced races. Ultrarunner Pete Kostelnick On Pace To Break 36-Year-Old Trans-America Record Averaging more than 70 miles a day to run across the country in less than 46 days, 8 hours and 36 minutes. Florence Kiplagat Makes Low-Key Return To Kenya After Chicago Marathon Victory There was no big airport celebration with the traditional milk “mursik,” but she still snapped a photo with David Rudisha. 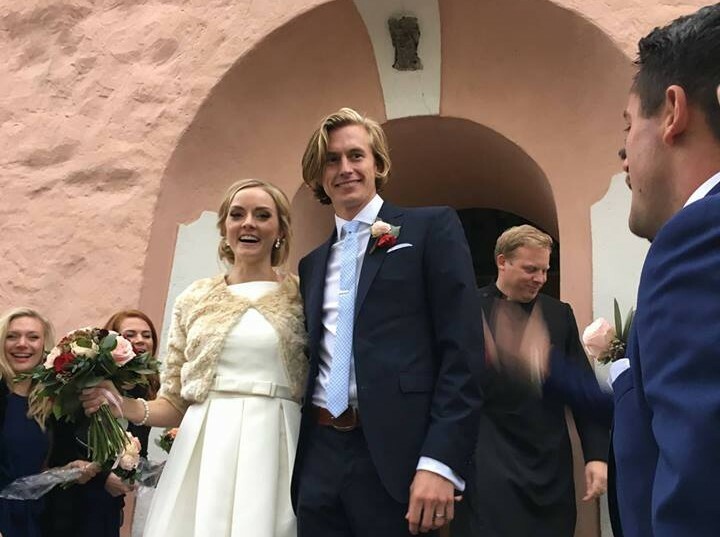 LRC Evan Jager’s Fairy Tale 2016 Continues As He Gets Married In Sweden Jager married Sofia Hellberg-Jonsén on Saturday in Sweden. 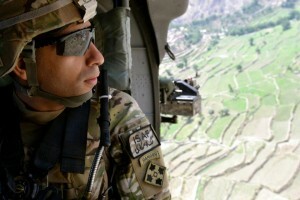 Read about the wedding and how they met. Good Read: First Impressions Q&A With US 400m Hurdler Johnny Dutch Dutch’s first track race was a 100m when he was 10-years-old. He was so nervous that he peed himself and his competitors laughed at him. Usain Bolt Leading Fan Voting For AOY Wayde van Niekerk is in 2nd; Mo Farah in 4th. TJer Catherine Ibarguen is dominating the women’s voting. *Breakdown Of Women’s Nominees For AOY Keni Harrison is the only American on the list and is very far back in the voting. GB 400 Runner Christine Ohuruogu Reflects On Her 2016 And What Was Her 4th Olympic Games In Rio Ohuruogu was happy to win 4×400 bronze, but disappointed to not even make the 400m final, saying she thinks overtraining cost her. LRC Q&A: Washington Coach Greg Metcalf Talks About The Win At Wisconsin, A Showdown With No. 1 Colorado At PAC-12s And Whether This Is His Best Team Since The Loaded 2008 Squad Only #11 in the pre-season polls, the Huskies dominated at Wisconsin, putting all seven women in the top 50 and going 1-6 in the open race, and are now #2 in the land. Now it’s on to PAC-12s, which features four teams ranked in the top 11 nationally. The UW staff has already scored the PAC-12 meet on paper; where do they have Washington finishing? Plus should NCAAs be hosted by UW at Chambers Bay golf course (site of the 2015 U.S. Open golf tournament)? NAU Men The Unanimous Favorites In Updated NCAA Coaches’ Poll Stanford moves up from 11th to get the 2nd place ranking while Syracuse drops to 6th. Colorado Women New #1 In NCAA Women’s Rankings The women’s rankings have been all over the place as the previous #1 Providence drops to 4th and Washington moves to 2nd. Doping News: Did WADA Hang An Innocent Man? Ross Tucker Among The Scientists Who Think Irish Sprinter Steven Colvert Should Be Cleared Colvert tested positive for EPO, but different testing methods showed one sample to have 20 times more than the other. Tucker and others argue that kind of inconsistency means the test should be thrown out. WADA Signs Agreement With Japanese Drug Maker To Help Combat Doping The drug maker Astellas Pharma gives WADA a heads up on compounds it produces (including those in development) that could be used as PEDs. Ski Federation Considering Cancelling All Future Events Scheduled To Be Hosted By Russia Pending The Outcome Of McLaren’s Continued Investigation However, the federation president ruled out any kind of collective Russian ban like the IAAF has done. 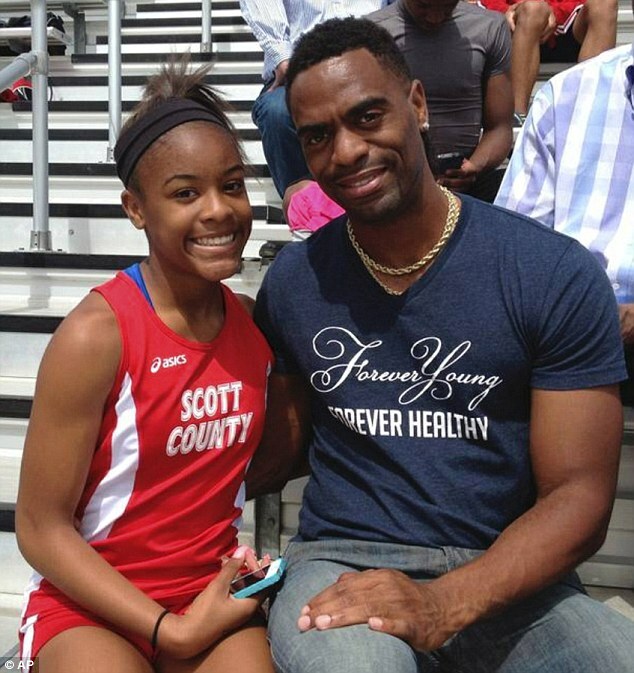 Tyson Gay’s 15-Year-Old Daughter Shot And Killed At A Restaurant In Lexington, KY Trinity Gay was shot in the neck by a stray bullet after two cars exchanged gunfire outside the restaurant at 4AM on Sunday. Three men have been arrested and charged in connection with the shooting. Men’s Wisco Race LRC No. 1 Northern Arizona (78 Points) Rolls To Big Win At 2016 Nuttycombe Wisconsin Invitational; Syracuse’s Justyn Knight (23:51) Unleashes Big Kick To Claim Individual Title #1 NAU lived up to it’s ranking with a great performance. In terms of the individual race, Justyn Knight blew everyone’s doors off. 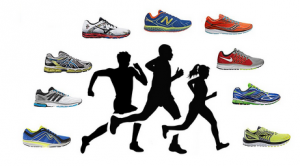 The Votes Are In LRC LetsRun.com NCAA XC Fan Poll #1: The LRC Nation Thinks NAU Is Way Overrated And That Syracuse Will Repeat The votes are in for our first fan poll of 2016 and our results are very much different than the USTFCCCA poll, at least on the men’s side. The LRC nation thinks #1 NAU is overrated and that Syracuse is the team to beat. Also LRC likes Stanford way more than the coaches poll. Title IX Taken To Its Extreme? Five Russian Racewalkers Handed Four-Year Doping Bans The five, including 2013 World Championships silver medalist Mikhail Ryzhov, all were part of the Russian national training center in Saransk and tested positive for EPO. AP: WADA Anticipating More State-Sponsored Doping WADA director general Olivier Niggli spoke on several topics, but we’re not sure what to make of the fact that he apparently “praised” MLB, NFL and NHL anti-doping programs. 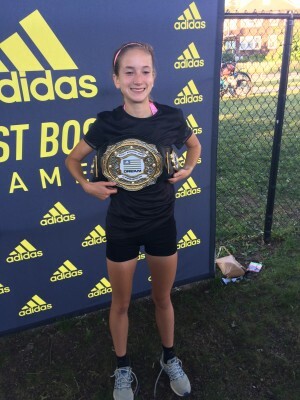 MB: Kate Murphy Commits To Oregon The 4:07 high school OT qualifier announced on Twitter that she’ll be a Duck next year. The Oregonian: “Lots Of Coming And Going Within The Oregon Track Program” Nine additions have been made to the roster, but some key athletes have transferred or quit, including school shot put record holder Brittany Mann, who transferred to USC. *MB: Why are so many Oregon athletes transferring? Wrong Person Awarded First Place At Portland Marathon Apparently workers at the finish line couldn’t tell the difference between a 2:36 marathoner and a 2:36 half marathoner. 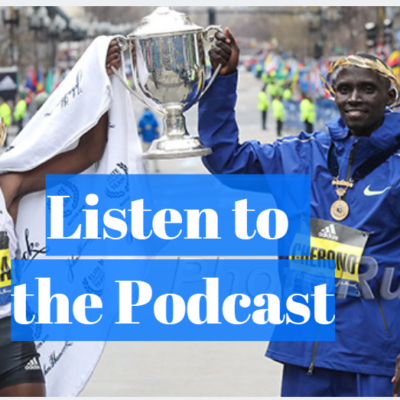 LRC The Amsterdam Marathon Was Super Deep And Fast, The Toronto Marathon Dropped An Illegal Rabbit Out Of A Car, Ed Whitlock Still Going Strong, EPO Non-Positives And More Learn what’s happening in the running world. Two More Athletes Disqualified From London 2012 Games After Doping Re-Tests A Russian weightlifter and Ukrainian PVer Maksym Mazuryk both tested positive for a steroid. Russian Sports Minister Vitaly Mutko Promoted To Deputy Prime Minister This despite allegations against Mutko connection him to Russian drug coverups. LRC Tyson Gay’s Fellow Professional Athletes Take To Twitter To Share Their Condolences Asafa Powell, Ato Boldon, Lolo Jones and former NFLer Chad Johnson are among those who sent messages to Tyson Gay. 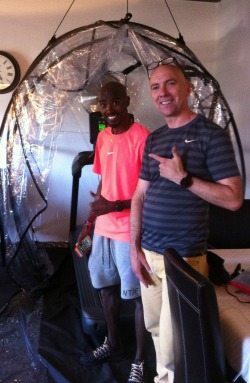 Altitude Training Has Given Mid-D Runner Charlie Grice’s Athletic And Business Career A Boost In addition to training at altitude in Kenya, Grice sells altitude simulation products to athletes, including Mo Farah. Two Men Crash GB Olympic Parade Posing As Medal-Winning Fencers It would make sense that no one would recognize members of the fencing team. Mo Farah Will Compete At London Anniversary Games Next Track Season That means Farah will have at least two more races at the London Olympic venue in what he says will most likely be his last year on the track. 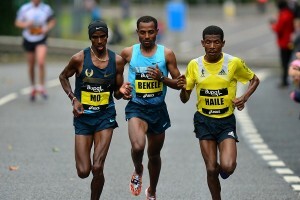 *Meselech Melkamu Wins Women’s Race In 2:23:21 It was her second marathon win this year. Toronto: Philemon Rono Shrugs Off Fact That Pre-Race Barricade Crashed Down And Cut His Face, Wins In 2:08:30 Eliud Kipchoge‘s training partner was bloodied pre-race. Shure Demise won the women’s race in 2:25:19. Two British Athletes Not Named Mo Farah Have Been Quizzed By Investigators In Jama Aden Doping Probe The raid of Aden was done in June. Will we hear anything before the end of 2016? 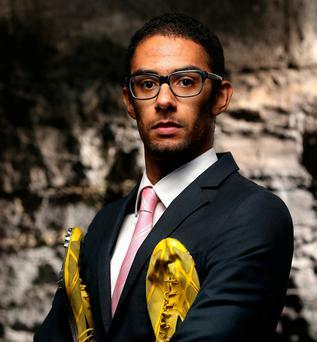 European Athletics – Farah & Beitia Are European Athletes Of The Year, Thiam & Hess Rising Stars Max Hess and Nafissatou Thiam were honored with the Rising Star awards. And Kenya Alice Aprot Nawowuna Stays Hot – Wins XC Race In Kenya She’s been training and racing a lot since running 29:53 in Rio. 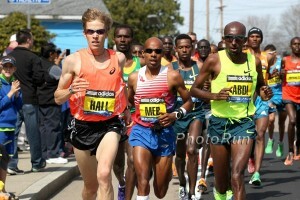 The men’s race was won by Abraham Kiptum, who ran a 59:36 half marathon last month. *MB: If you were chosen to erect 4 statues of T&F greats in Hayward field, who would you select? Who Should Be European Female AOY – Ruth Beitia, Ekaterini Stefanidi Or Anita Wlodarczyk? 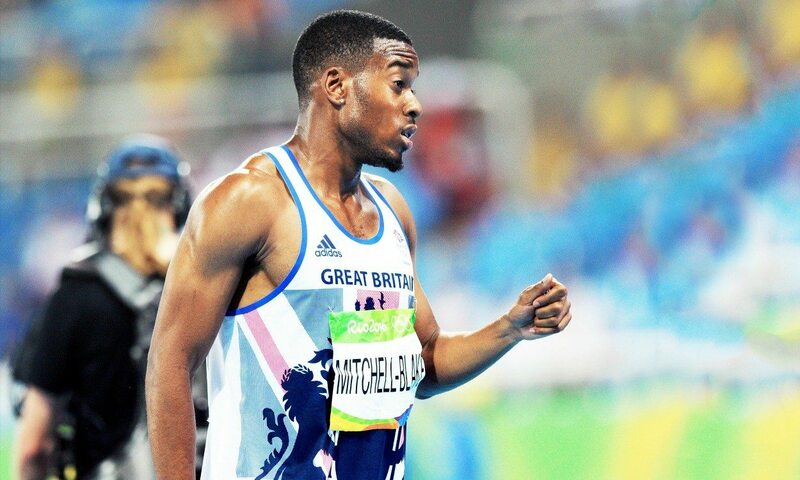 Good Read: Nethaneel Mitchell-Blake Talks About The Highs And Lows Of His Breakthrough Season Which Saw Him Become The Third Brit Under 20 Seconds For 200m There were the thrills of going sub-20 and competing at Rio and also the heartbreak of getting hurt in the NCAA semis and DNSing the final. IAAF First Impressions Q&A With Two-Time World Long Jump Silver Medalist Ignisious Gaisah Gaisah’s first track event was actually a 5K … it didn’t go so well. Four laps in, he DNFed and moved to the jumps. BBC Doing Documentary On Former GB Olympic 4 X 400 Silver Medalist Jamie Baulch, Who Is Searching For His Biological Father Baulch was adopted when he was 6 months old. he later found his biological mother, but never met his Jamaican father who contributed to his sprinting genes. “Did You Know” Q&A With Israeli World TJ Silver Medalist Hanna Knyazyeva-Minenko For some reason she and her coach feel the best way to do squats in the weight room is with her 198-pound husband on her shoulders. Teen Sprint Sensation Candace Hill Sits Down For In-Depth Interview With Ato Boldon (includes video) Hill talks about how she’s been working on her sprinting form ever since elementary school field days and what it’s been like competing as a pro at only 17. Athletics Weekly Q&A With British 400H Champion Seb Rodger Rodger qualified for Rio by getting the standard by just .11 of a second on the last possible day.